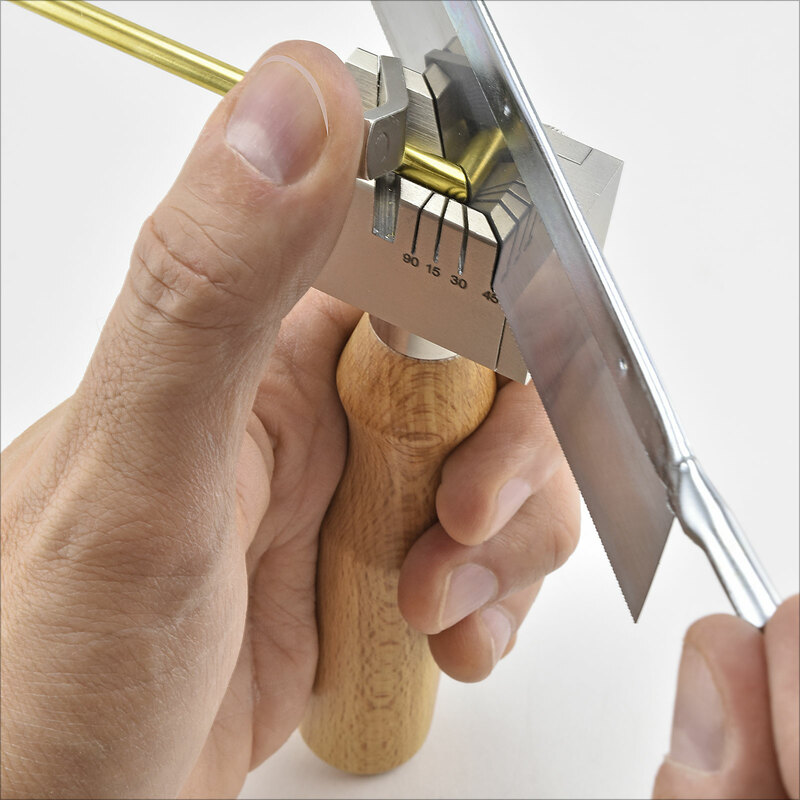 Use this nicely made, hand-held mitering tool to make quick, accurate 15, 30, 45 and 90 degree angled cuts in round metal tubing, rods and wood dowels, as well as making clean 90 degree cuts in metal and wood strip stock, model train rail and more. 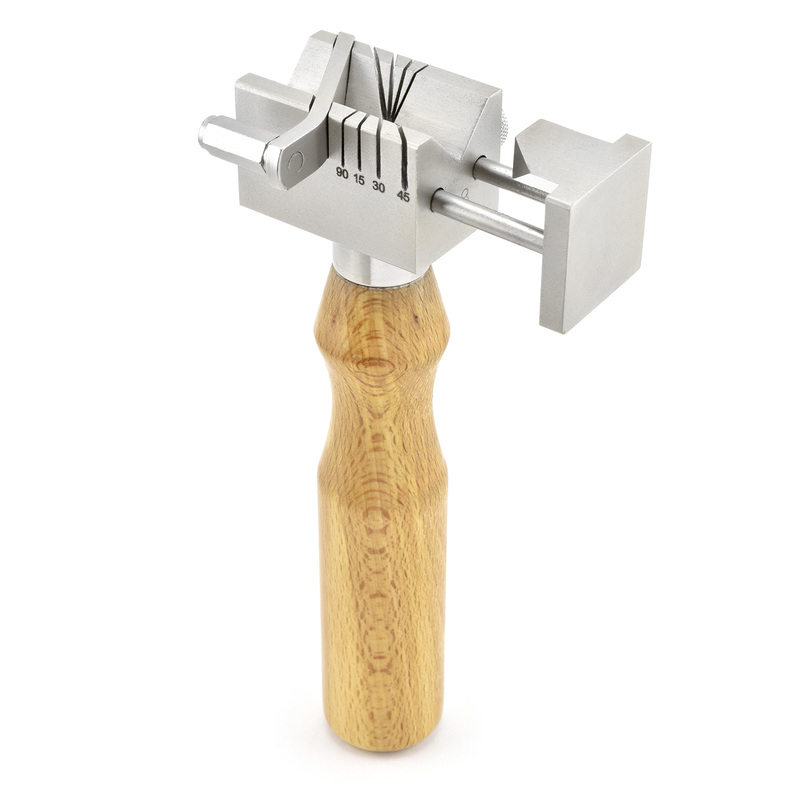 Hardened, machined steel head features a beautiful brushed finish and is mounted onto a smooth, ergonomically-contoured 4" lacquered wood handle. Includes an integrated hold-down bar to keep fingers clear of the cutting area and 0 - 1" adjustable/removable stop for making repeated cuts. Slotted head accommodates saw blades up to .015" thick. 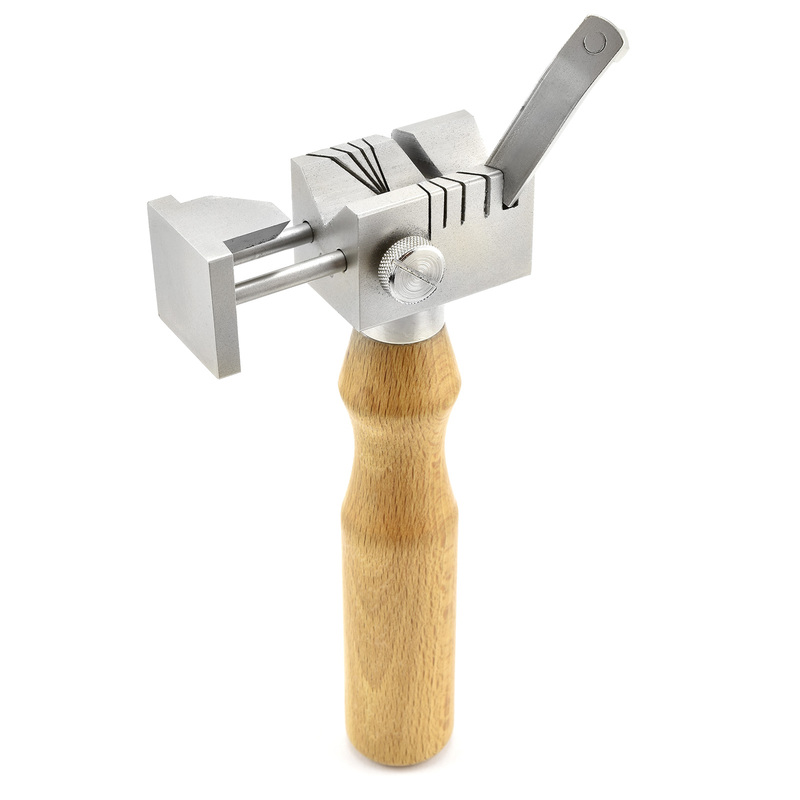 For added capability, the head can be removed from the handle and secured in a vise. V-grooved channel holds stock from .010" to .25" high.